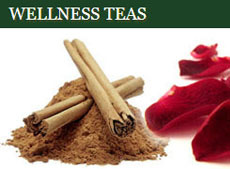 ← Are You Straining Away Tea Flavor? 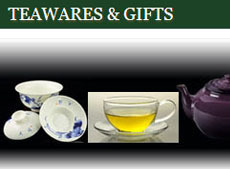 The Xizhi Hao Brand is used by a Taiwanese man known as Mr. Chen (Chen Zhen-Wei, an amateur Chinese calligrapher). 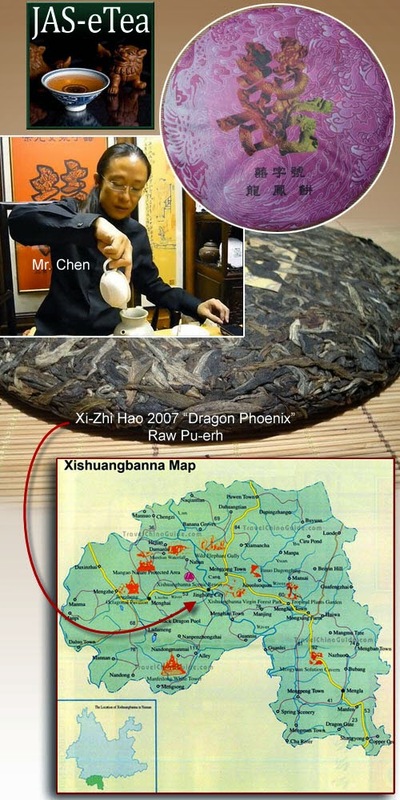 For several years now he has applied his passion for Pu-erh to creating these acclaimed pu-erh cakes. His dedication extends to going to the leaf source and scouting out the best wild arbor raw material. His paths take him on hikes along the mountain trails of Xishuangbanna where he finds true maocha from Nannuo Mountain and other regions that he then oversees the processing into the final cakes to be sure it is just right. 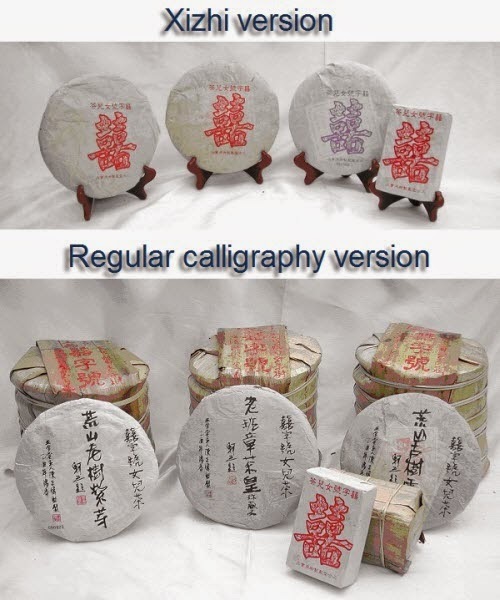 He often works with Ms. Dong Guoyan (a former master tea blender at Menghai Tea Factory) and designs the packages/labels himself. The cakes are often pressed and packed in the Mengyang Guoyan Tea Factory in Jinghong, Menghai County, near the Youle tea area. Mr. Chen has been known to take classic recipes such as the 8582 and reformulate it using the highests grade material from wild arbor trees. Another is the 7542 that is based on the classic recipe and yields a clear amber liquid with a superb flavor. Another classic is Huang Shan Lin (meaning “Desolate Forest”), composed of wild arbor material taken from Meng Hai Da Huang Ya, a small area in the south part of Menghai County. 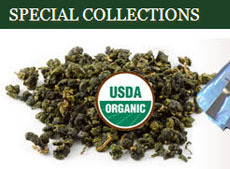 It’s considered a “single estate” tea but not in the same sense as teas from Darjeeling, Assam, and elsewhere. 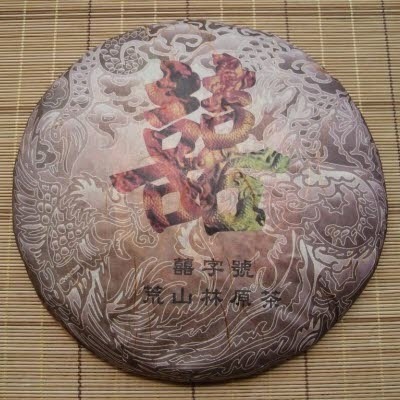 It is stone-pressed and has a wrapper designed by Mr. Chen. The prominent feature on his Xi-Zhi version is the large Xi character. It is based on a special Song-Ping Hao tribute brick from the GuangXu period of the Qing dynasty (1644-1911) that Mr. Chen owns. There is one big difference, though, with Mr. Chen’s version leaving off the “educational” images from the original brick for those young, sheltered, and rather innocent Chinese princesses to get an idea of what to expect on their wedding night. He also embellishes the labels with colors and designs. You may want to save these and frame them. It was this ancient tea brick that inspired Mr. Chen to recreate some of these pu-erh recipes using those old-growth tea leaves. All in all, the price of these cakes seems pretty reasonable. They are made of leaves that can be difficult to access and have a limited supply and have a wrapper that is in itself a work of art. 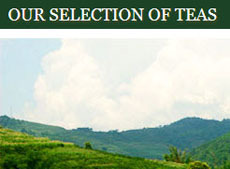 The Mengyang Guoyan Tea factory primarily makes folk and mountain series teas. The folk series includes a Dai nationality girl tribute cake, a Hani nationality High Mountain Mist cake, a Bulang nationality cake, and Jinuo nationality long pa arbor cake. Image of Mr. Chen is a still capture from a YouTube video. This entry was posted in Brands and Factories, For Pu-erh Devotees and tagged chinese tea, JAS-eTea, Pu-erh Teas, xi-zhi hao, Xizhi Hao Brand. Bookmark the permalink.